Linda Bloomfield makes hand-thrown tableware distinctive by its satin glazes and subtle colours. She is primarily concerned form and surface texture, making simple shapes, rounded teapots and bowls, cylindrical bottles and mugs. Their surfaces have traces of throw lines and dimples, in which the glaze will pool and 'break'. This allows the hand of the maker to be present in all her work, elevating functional ceramic-ware into a daily pleasure for its owner. Linda mixes her own glazes, as she feels her understanding of the chemistry is vital to the process of making. 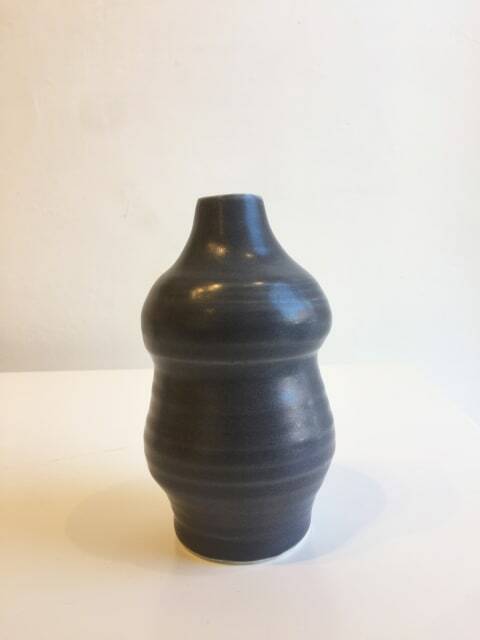 Her recent work is inspired by the artist Giorgio Morandi, creating collections of bottles and vessels. Linda has made collections for David Mellor, Harrods, ABC Home New York, Jamie Oliver's restaurant Barbecoa, the Albert Hall's Café Bar and Liberty of London. She works from her London studio, and shows her work in shops, galleries and exhibitions both nationally and internationally. She has published several books and articles on glazes, and teaches at West Dean College in Sussex.